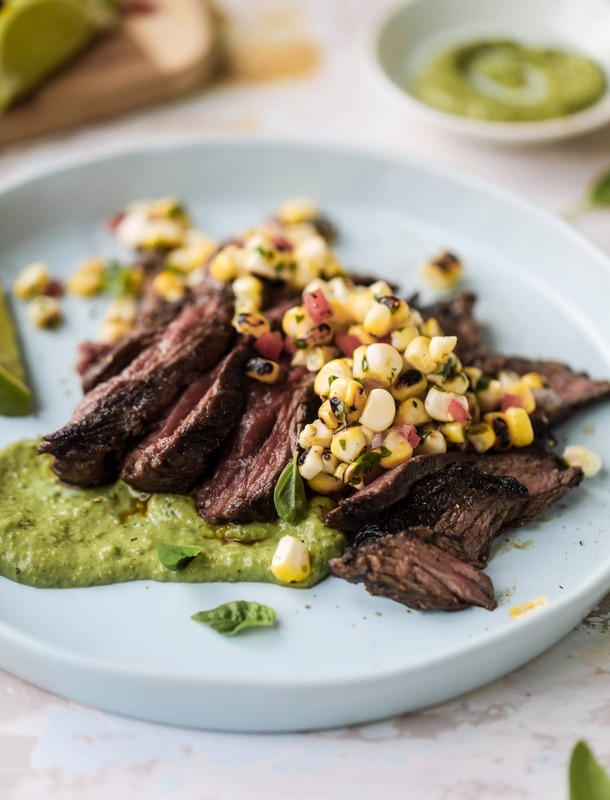 Skirt Steak with Avocado Pesto and Grilled Corn Relish. Raise your hand if you want the most delicious dinner tonight. Because this skirt steak is about to DELIVER. 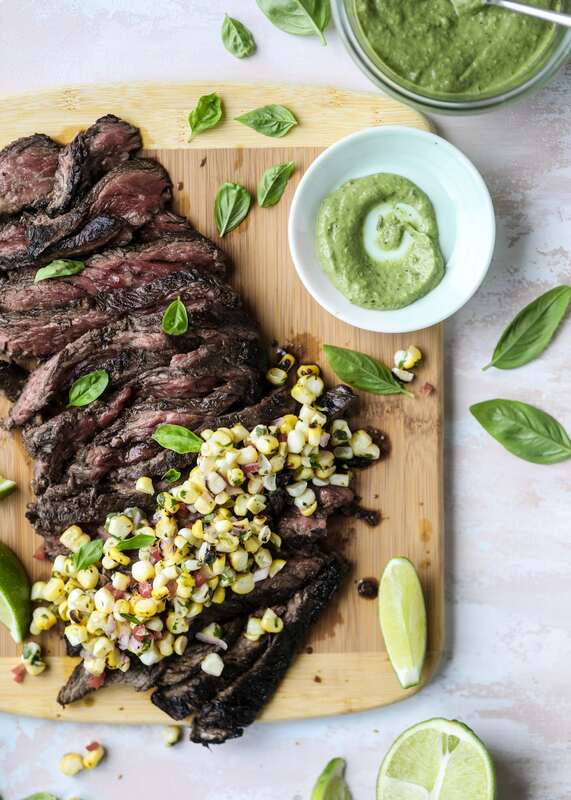 For months – wait, no… for YEARS – I have been talking about recreating this amazing skirt steak recipe we had with chimichurri. I’ve wanted to make it each summer. Like, I’ve actually talked about it for so long that the restaurant where we ate it? Doesn’t even exist anymore! So this was the summer. This was the summer I would bite the bullet and do it. I tend to only make cuts of beef like flank steak for weeknight dinners because it’s easy and mostly lean and I’m familiar with it. This time, I decided I was going to make a different cut! And I got up the courage. Actually found it. Made it a few times and figured out my favorite way. It was delish! I was semi-shocked at how easily I was able to find it at my local store based on my previous attempts. I was never able to find it before! How lucky was I? Only. Only to realize like two weeks later that the steak we had that I had longed to create? Was hanger steak. Not skirt steak. I did a quick google search and learned that up until fairly recently, you couldn’t even buy hanger steak at the retail level. All of those years, I figured I was just losing my mind and that maybe I had not looked in the right place. You know, like there was an entire other section where the hanger steak secretly hung out. Anyhoo. Turns out I still can’t easily find hanger steak. But also turns out that I really love skirt steak! It’s slightly more flavorful and kind of… rich? Yes, rich, that’s the word. 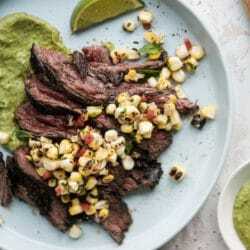 Slightly more flavorful and rich than flank steak, which can easily dry out if it’s overcooked even a little bit. So we’re loving this! So good, super easy to make, kind of foolproof for someone like me who still isn’t an expert when cooking certain cuts of beef. While the skirt steak is fantastic, in true Jessica fashion, here we’re all about the toppings. 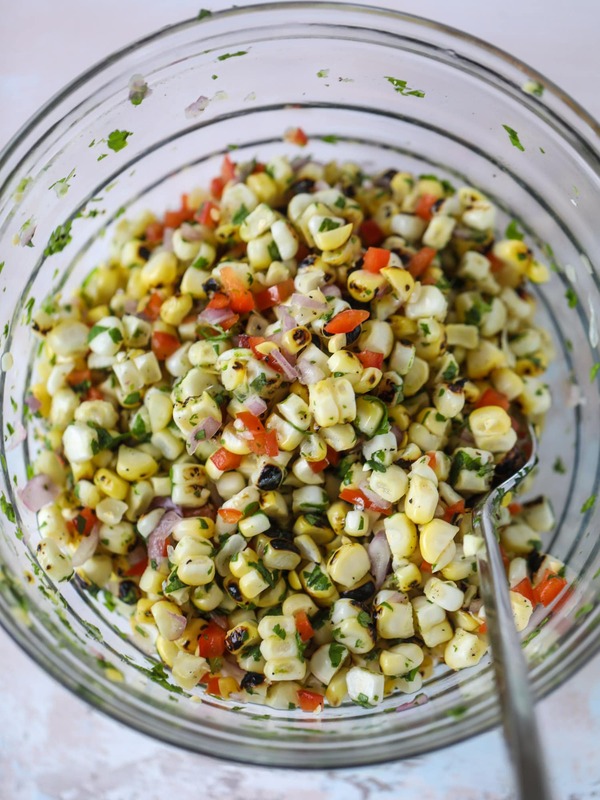 This fresh corn relish is just dreamy. I used local corn and ours is so, so sweet, it’s unreal. Mixed with red pepper, shallots, cilantro and lime, it is packed with flavor. A few years ago, I made a similar topping for salmon and I make a version of that often. Freaking love it. It makes things taste so fancy. But! The other part of this delicious plate is a bowl full of avocado pesto. I want to eat this with a spoon. Drink it through a straw! A little bit goes a long way and once you have a batch, it’s incredible on vegetables and chicken and even regular old corn on the cob. The options are really endless because it’s incredibly versatile. It’s also super pretty. And green! This means it’s good for us, right? YESSSSS. Now you have dinner tonight. I love you! 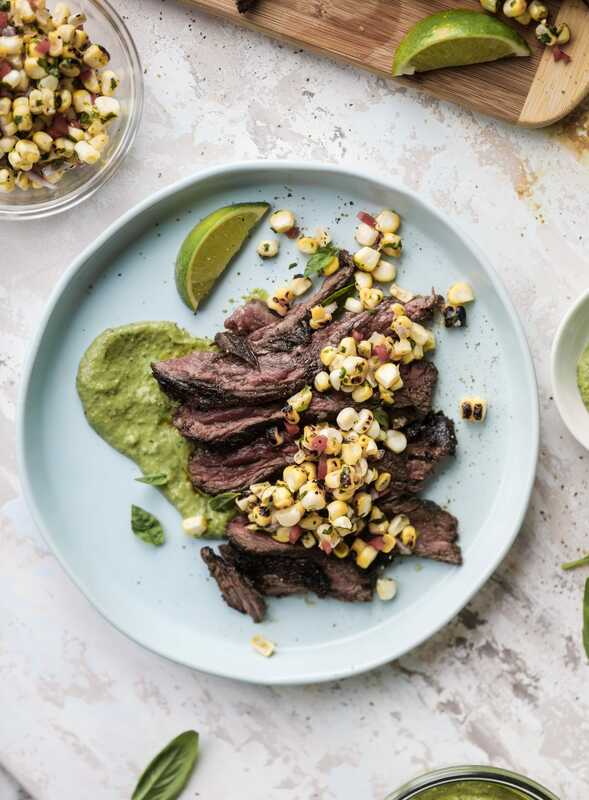 Skirt steak with avocado pesto and grilled corn relish is the freshest summer dinner! It is packed with flavor and perfect for a crowd! In a bowl, whisk together the olive oil, brown sugar, garlic, salt and pepper. Place the steak in a baking dish or ziplock bag and pour the mixture over top. Place it in the fridge and let it marinate for at least 30 minutes or even overnight. I like to remove the steak about 30 minutes before I cook it. You can grill, broil or pan sear it to your liking. I tend to broil or grill it as I find that easiest. Preheat the broiler in your oven and move the oven rack as close as possible. Place the steak on a broiler pan or baking sheet and broil on each side for about 5 minutes. This usually results in a medium doneness in my oven – but since the edges are thinner, they tend to be more well done. Allow the steak to rest for 10 minutes before slicing it thinly against the grain. Serve with spoonfuls of the pesto and the corn relish on top! To make the pesto, combine the basil, avocado, cheese, pine nuts and garlic in a food processor. Pulse until small crumbs remain, and then with the processor running, stream in the olive oil. Start with the 1/2 cup and add the extra if needed to reach the desired consistency. Add the salt, pepper and pepper flakes and blend again. Taste and season additionally if needed. As a note, to toast the pine nuts, I add mine to a skillet and heat over low heat. I shake and stir until the are golden and fragrant, about 5 minutes. Stir all ingredients together in a bowl until combined. You can make this a bit ahead of time if needed! It stays great in the fridge for a day or two. That is one big plate of flavor. Both hands are raised high! Hanger or skirt steak, this would still be a winner either way. When does the avocado get added in? I wish I had more hands to raise! this looks amaaaaazing! You seriously make the best weeknight meals! Looks delicious! . Can’t wait to try these! Gah! I love when you post a new steak recipe! I get skittish about cooking beef since we don’t eat it that often and I’m not that great at preparing it, but your steak recipes are really easy to follow. Great for someone like me. I made your Red Wine Marinated Flank Steak with Caprese Salsa a few years ago, and it was DELICIOUS. And super simple to make. I’m excited to try this new steak recipe while it’s still grilling season! My husband is enjoying this as I type and he said to thank you from him. 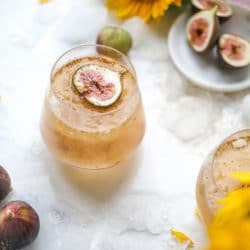 Another winning recipe from howsweeteats ! !